"Detail levels are high with the amplifier uncovering layers of information in the most complex of scenes. Tonally, things are spot-on – as would be expected with such capable set-up software – and there’s none of the veiled quality and lack of low-level dynamic expression such equalisation normally adds. We like the top-to-bottom consistency too and the amplifier’s ability to keep its composure when things get demanding, even when volume levels head northward." "While impressive, it’s not the Anthem’s way with large-scale action films that makes it stand out among good upmarket home cinema amplifiers. Most do that really well. To find out what makes this amplifier different you’ll have to move to smaller scale soundtracks; those that need finesse to sound good." "Dialogue is delivered with confidence and subtlety with nuances in voices communicated superbly. The Anthem’s midrange is crisp, clear and focused, and has enough in the way of natural warmth to convince." "It has strong dynamics, a lovely consistency throughout the frequency range and even does a grand job presenting the rhythmical elements of a track. Want an AV amplifier that plays music well? This Anthem is it." "... judge an amplifier on sound performance alone and it becomes clear that this is one of the standout products below the two grand mark. 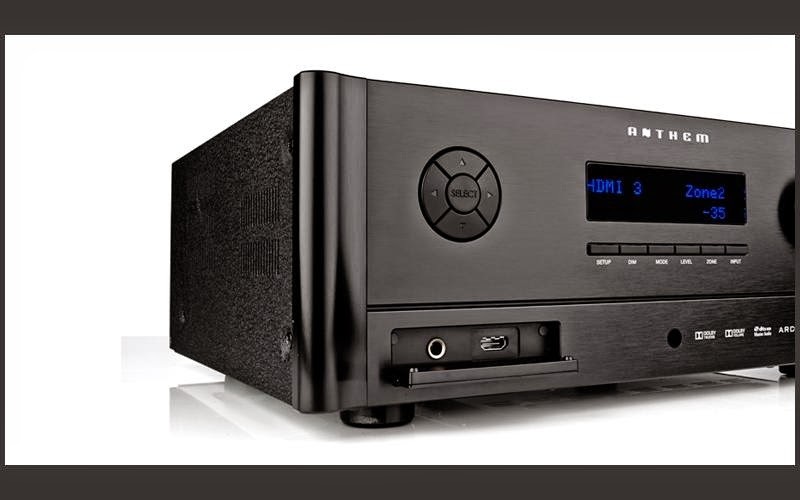 A home cinema amplifier that can keep music lovers happy too – that is a rare thing indeed." Click here! 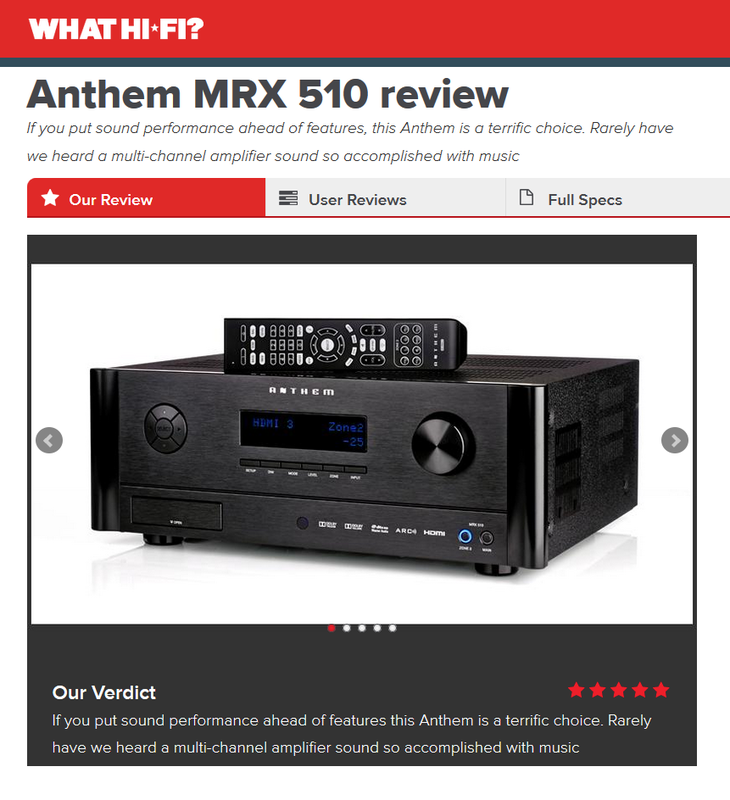 to read the full MRX 510 review from What HiFi? Click here! for more info on Anthem's MRX series receivers.